If finding enough time to manage your finances proactively is a challenge, you’re not alone. Our team of financial experts is here to understand exactly what it is you would like to achieve financially, and then work in partnership with you to ensure that your goals are met. As a team, our philosophy is to take a client-centric approach that integrates and organizes all aspects of our clients’ personal and professional finances. We do this by creating integrated and fully-customized financial and wealth management solutions that are tailored to your unique goals. We will simplify your life by helping you through complex decisions, as well as taking the lead in managing your evolving financial needs. Rob is the founder of The McClelland Financial Group and a Senior Financial Planner and Co-Branch Manager of Assante Capital Management Ltd. Offering a thorough understanding of the diverse needs of professional and retired clients, Rob McClelland holds an Honours degree in Business Administration from the prestigious University of Western Ontario’s Richard Ivey School of Business. 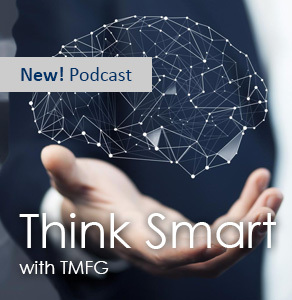 An expert on how to minimize risk and maximize income during pre and post-retirement stages, Rob has assisted thousands of investors achieve their financial goals over the past 25 years. A prolific speaker and finance educator, Rob has been a featured guest on ‘Report on Business’ and has written for the Canadian-acclaimed newspaper, the Financial Post. Rob has built a solid practice at The McClelland Financial Group based on a reputation for delivering outstanding service and consistent effort. Prior to embarking on a successful career in the financial services industry, Rob was a Senior Executive for a successful Canadian retailer. He later earned the title of Vice President of The Equion Group before later transitioning to the role of Senior Financial Advisor, Branch Manager and Vice-President of Assante Capital Management Ltd. Rob has achieved both the RFP and CFP (Certified Financial Planner) designation and is one of the only few hundred Registered Financial Planners in Canada. Rob is an avid golfer and loves to travel with his family during his spare time. A love for hockey, Rob has played on a Toronto hockey team for over 10 years and resides in Richmond Hill with his loving wife and 3 children. 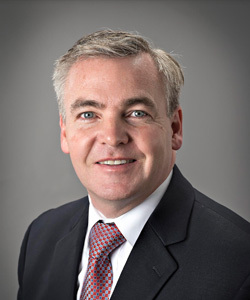 Michael Connon is a financial educator and advisor in the Thornhill area who has been helping thousands of investors, retirees and pre-retirees from companies such as RIM, Imperial Oil, IBM, Royal Bank, and Procter & Gamble, etc. Michael has his Bachelor of Science degree from the University of Western as well as the CFP (Certified Financial Planner) designation and is a Senior Financial Advisor and Branch Manager of Assante Capital Management Ltd. Please note that CFP professionals are a body of licensed financial planners that have met the strict standards necessary to attain this designation. Michael is regarded as a local expert in teaching investors how to minimize risk and maximize income. Carlo entered the financial services industry following his graduation from Wilfrid Laurier University. He started his career with TD Bank before moving onto Assante Wealth Management in 2004. 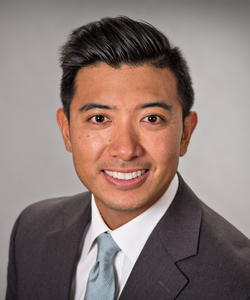 After several years with Assante’s National Accounts office, he eventually joined The McClelland Financial Group in Thornhill. Carlo has achieved several industry designations such as the Financial Management Advisor and Fellow of the Canadian Securities Institute, regarded as the highest honour and most senior credential in Canadian financial services. He is also a Certified Financial Planner (CFP) professional, the international standard at which Financial Planners are measured. The CFP designation is administered by Financial Planning Standards Council (the foremost authority for the financial planning profession in Canada). Carlo has been an active contributor of peer-counselling groups, boosting health awareness on University campuses. A love for organized basketball, Carlo enjoys a vast array of sports. His passion for competition carries over into charity work as he has participated in numerous runs, basketball tournaments and a triathlon to support several charitable organizations. Carlo lives in Stouffville with his wife and three children. Chelsey has been in the financial services industry since the beginning of her studies at University of Ontario Institute of Technology (UOIT) in 2010. While studying finance at UOIT, she worked part-time at TD Bank as a Customer Services Representative (bank teller) until achieving her Bachelor of Commerce (Honours) degree in 2014. Chelsey has her Canadian Securities (CSC) designation and is working towards her Certified Financial Planner (CFP) designation. At The McClelland Financial Group Chelsey is known for her great rapport with clients and striving to meet her client’s needs is one of her top priorities. Outside of work, Chelsey’s passion is health, fitness and nutrition. She is an avid member of a cross fit gym in her community and has participated in many charitable runs such as the CIBC Run for the Cure, Toronto Yonge Street 10k as well as other races such as the Prison Break Race and Spartan Race. Chelsey is a refreshing, young professional who can appeal and relate to our younger demographic and someone who is excited and passionate about enhancing the financial lives of our clients. Socheata has been with The McClelland Financial Group for 16 Years and shares a great passion for the company and our impact on the industry. Socheata was promoted from Service Manager to Team Leader for her outstanding work ethic and strong ability to develop strategies, motivate, and inspire the team to improve business processes. She has successfully completed her Branch Managers Course in 2015 and more recently a postgraduate certificate in Project Management from the University of Toronto. Socheata enjoys travelling, running, playing volleyball and hot yoga. She is a proud sponsor and participant in the Sporting Life’s 10k Run for Camp OOCH, CIBC’s Run for the Cure. After 23 years in the financial industry and over 15 years with The McClelland Financial Group Carole Ash is transitioning from her Management position as Team Leader into partial retirement. In her new role as a Consultant she will continue to be a valuable resource during this transition period. You will still see Carole in the office 3 days a week going forward. She is looking forward to spending more time with family and pursuing other interests. Carole was a spokeswoman and volunteer for the former Ontario Migraine Foundation and has completed piano courses from The Royal Conservatory of Music. Carole attends dance classes at the Toronto Social Dance School in Thornhill and is an avid traveller, having visited over 18 countries worldwide. A proactive and personable professional, Michelle strives to exceed the expectations of every client at The McClelland Financial Group. Having started as a Service Associate in 2000, Michelle is currently an Associate Financial Advisor and Business Development Manager at The McClelland Financial Group of Assante Capital Management Ltd. A natural ability with people, knack for building relationships and delivery of top service has allowed Michelle to gain rapport with the extensive client-base. Michelle’s key accomplishments include the completion of the Canadian Securities Course and the successful relationship management with internal and external stakeholders. Previous success has been achieved from her experience as a Customer Service Associate at two of Canada’s Fortune-500 companies. Michelle enjoys dancing, reading and travelling on her spare time and is an active participant in CIBC’s Run for the Cure. 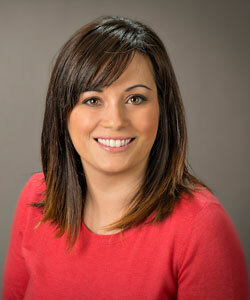 Amber Mazurkiewicz Marketing Manager with many years of experience in corporate sales and marketing. Amber has worked with many Canadian and International brands including; Bell Media, Rogers, Ralph Lauren, Audi, L’Oreal, Porsche, the Swiss Chamber of Commerce, Moet Chandon, KPMG, Deloitte, and Toronto Life among many others. Previously, she worked in progressively senior roles for Scotia Capital Equity Research coordinating the marketing and logistical needs of the division. During her time there, she established a foundation in financial accounting and obtained her Canadian Securities Certification. 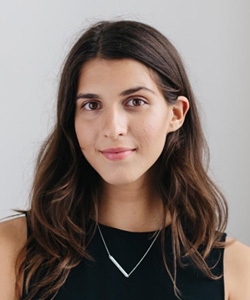 Amber came into marketing from the Toronto film industry where she worked for over a decade as a production coordinator, producer, and art director. Studying film and fine arts in tandem with business studies has given her a strong sense of design and media savvy. Amber enjoys skiing, gardening, and the beach. She has two beautiful boys who are her pride and joy. 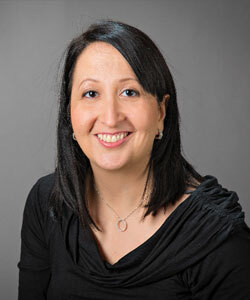 Patrizia is a Registered Representative and has been a member of the team for over 10 years. 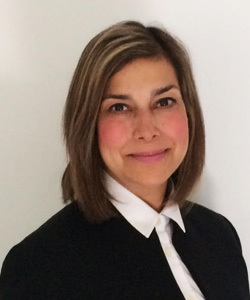 Patrizia joined The McClelland Financial Group in 2008 after leaving her role as a Senior Group Sales Supervisor for one of Canada’s largest travelling companies. 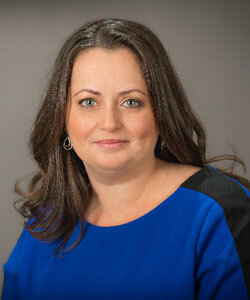 Having successfully earned a Bachelor of Commerce degree from Ryerson University, Patrizia translated her comprehensive background in business and the service industry to her current role for The McClelland Financial Group of Assante Capital Management Ltd.
Patrizia’s key responsibilities involve issues management, ensuring regulatory compliance standards are met, as well as assisting the Financial Advisors with processing mutual funds, equity transactions and meeting preparations. Patrizia is an avid reader, traveller and supporter of cancer research. She is a proud participant for the Terry Fox Run and CIBCs’ Run for the Cure. After graduating with a Bachelor of Administrative Studies with Honours in Finance John joined The McClelland Financial Group of Assante Capital Management Ltd. in February 2016 as a Service Associate. Eager to learn and grow within the Financial industry, John has completed his Canadian Securities Courses, Conducts and Practices, Wealth Management Essentials and is currently working towards the LLQP Insurance certification. After gaining experience in the financial services industry while in the service department at The McClelland Financial Group, John is now ready to take on the new challenge of being a Financial Advisor. He will be a welcomed addition to an already accomplished team and will be another young professional that can appeal to a younger demographic of clients. Outside of work John’s passions include travelling, playing hockey, volleyball and golf. 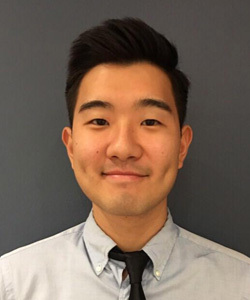 After graduating with a Bachelor of Business Administration from the Schulich School of Business at York University, Brian Hong joined our service team in January of 2018. As a service associate, Brian is currently responsible for assisting the Advisors prepare for their weekly meetings with the clients and completing back-office processes. Brian is also enrolled in the Canadian Securities institute completing his Canadian Securities designation. 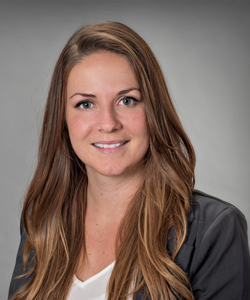 Jessica joined The McClelland Financial Group of Assante Capital Management Ltd. in 2011 as a Service Associate professional. 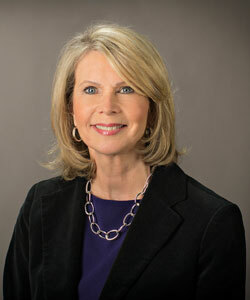 She is adept at processing the rebalancing of client portfolios and applying the basic principles of Accounting. 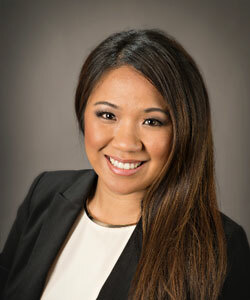 Jessica’s responsibilities include organizing and updating the financial statements and transactions for The McClelland Financial Group as well as executing exceptional customer service. Previously Jessica was a successful Sales Consultant for eight years at one of Canada’s leading retail companies, earning the title as “top-sales achiever” during her career there. Jessica is fond of fashion, reading and recreational running in her pastime. She has been an active participant of CIBCs’ Run for the Cure. Gala joined The McClelland Financial Group as Strategic Associate upon completing an International Bachelor of Business degree at the Schulich School of Business. Majoring in Finance and Strategic Business, Gala brings both her passion and ability to research, coordinate and execute projects across various department levels at The McClelland Financial Group. As an advocate for continuous learning, Gala strives to build upon her skill set through completing courses such as the Canadian Securities Course, as well as enrolling in the Project Management Professional Certification. Gala’s personal passions include travelling, volleyball and salsa dance. The McClelland Financial Group is a part of Assante Capital Management Ltd. Assante is one of the country’s largest wealth management firms and is a fully owned subsidiary of CI Financial, a leading national investment company. 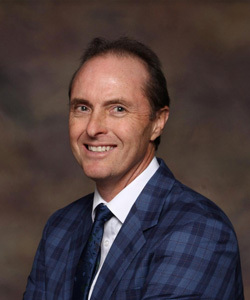 The McClelland Financial Group offers financial planning and provides comprehensive financial services for solution driven investors, including investment planning, annuity advice and selection, long term care planning for medical and nursing care, tax advice, estate planning, and retirement planning and trustee services.